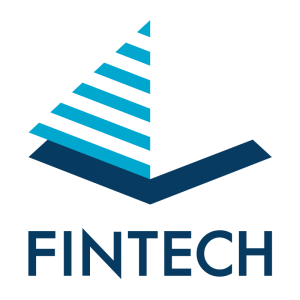 Fintech believes in utilising the expertise of specialist investment managers where it considers this to be appropriate to enhance portfolio outcomes. Our approach is to engage the world’s leading research houses and asset managers to provide recommendations for Strategic Asset Allocation weightings, Dynamic Asset Allocation tilts and specific investment selection to maximise risk adjusted return outcomes. Regular review and analysis of investment managers performance against benchmarks is conducted by the Investment Management Committee. Investing to maximise clients after tax returns based on their tax structures. A focus on low portfolio turnover and consolidating transactions across client portfolios to reduce costs and enhance returns. Full visibility of investment structures, underlying investments and costs. A belief in the reduction of risk through diversification of investments across investment sectors, asset classes and regions. Achieving sustainable returns with a preference for a broad longer term thematic approach when identifying investment opportunities. A belief that investment return is a function of risk, opportunity (volatility) and expertise. Risk is primarily determined by Strategic Asset Allocation using a top down approach to portfolio construction, accepting that strategic diversification across asset classes is the most cost efficient risk mitigation tool available. Cash and Term Deposits are used as the most effective capital preservation tools in the event of shorter term volatility. Selective use of Dynamic Asset Allocation (DAA) by providing tactical variation within asset classes and investment sectors is key to harnessing opportunity. Excess cash is also utilised to take advantage of buying opportunities during market volatility. For further information, please fill in the form below to receive the Investment Options Document directly to your email account.